From a one bedroom 300 sq ft Tiny home to a six bedroom 3200 sq ft Lodge Sunset Cabins has a cottage to suit your needs nestled on 7 Park like acres overlooking Lake Superior. Three night minimum the rest ofthe year. Now closed off into a long pond. There are boats you can use to cross and it does have Perch and Pike for fishing. 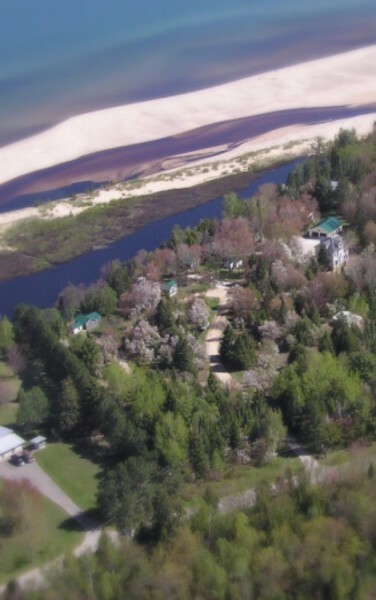 There is Lake Superior frontage and it is a 10 minute walk around the pond to get to the Lake because of hi water this year you will have to cross the river to gain access to the beach it is sandy. As of now I still do it the old fashioned way. Directions are easy just take a right on H58 off from M77 in Grand Marais and go a mile and half to the east. Whether you like to fish, hunt for rocks, or simply read a good book while relaxing on the beach, we've got it all for you to enjoy! Our sugar sand beach is the perfect place to unwind and watch the big lake freighters pass by. We are conveniently located close to snowmobile and cross country ski trails. Grand Marais is a four-season playground! We are the eastern gateway to Pictured Rocks National Lakeshore, where you can enjoy hiking, waterfalls, beaches, fishing, cross-country skiing, and historic lighthouses. If you enjoy walks and hiking, The North Country Trail runs right past our door. Right in town, we have four museums, a sheltered harbor, and numerous beaches for rock collecting and sunset viewing. Or maybe you'd like to relax and enjoy the sunset with a good book. 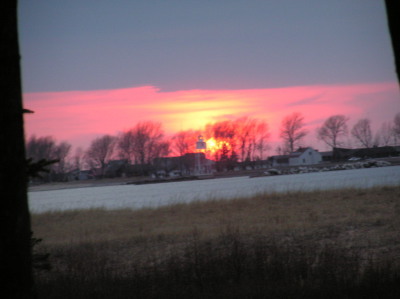 Whatever your mood, Grand Marais has the perfect place for you! 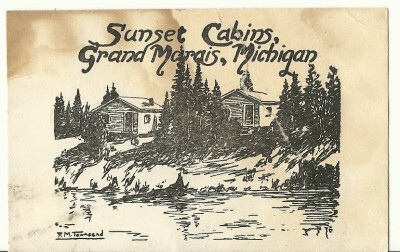 For complete information on our many attractions and activities, visit the Grand Marais Chamber of Commerce site.